The aircraft leased by Air Malta. 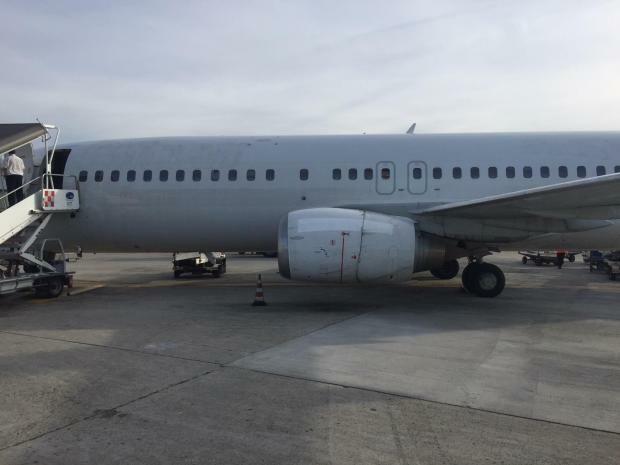 An Air Malta flight to Linate, Milan, was held up on the tarmac with passengers on board for well over an hour on Friday afternoon, with those on board not being officially told the reasons for the hitch. An Air Malta spokesman said the flight took off after a small technical issue was resolved. The spokesman denied that the issue was regulatory. He explained that the crew wanted an assurance regarding the 'Minimum Equipment List' which lists the serviceable equipment available to operate the flight. The aircraft, a Boeing 737 was recently acquired on a short lease by the national airline. The boarding gate was closed at 1.10pm but the aircraft only took off at 2.30pm. The aircraft, a Boeing 737400, is almost 30 years old and was recently the subject of several other delays. A passenger on the plane who has worked for several years in the aircraft industry, told Times of Malta said the aircraft was leased from Getjet Airlines of Lithuania and did not appear to be in a good condition. "We boarded with the last passengers and we realized straight away that the plane was very hot inside. I asked them if it was possible to cool down the cabin a bit, but they replied that they couldn't as the Auxiliary Power Unit was very old and weak," he said. "While we waited in that heat without water, the passengers were asking what was wrong and what was taking so long. A missing passenger was the initial answer. Most of the people weren’t happy at all with the heat and condition of this plane. Babies were crying and adults complaining. "Then an announcement from someone of the crew said that we could not take off because of a technical issue. "People were asking whether the plane was safe and if someone could reassure us or else if there was a chance to leave. We got informed that everything is fine. "People started looking outside the window and seeing a pilot and a technical person in a discussion and taking pictures of the landing flaps! Landing flaps were at 30 degrees at the parking stand which is not standard procedure!" He said some passengers grabbed their bags and wanted to disembark but got stopped on the stairs. By the time the aircraft took off most passengers were still scared, more so as there was no explanation from the crew or captain.